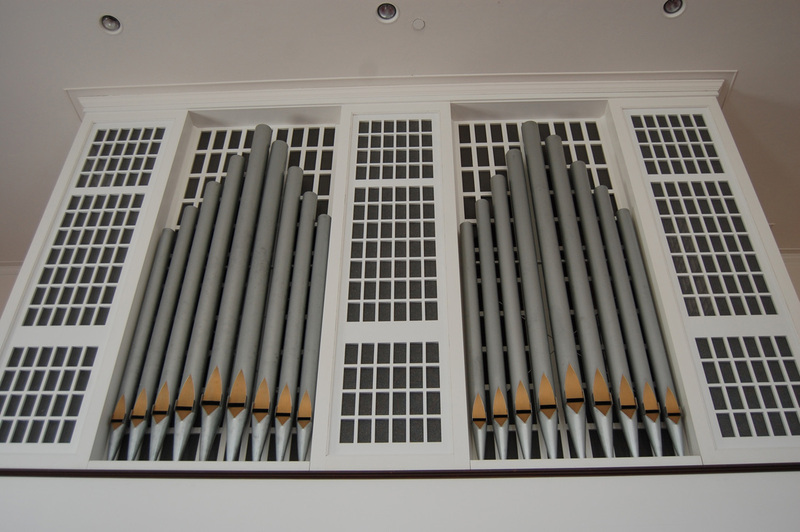 One of the essential tools used by our music ministry is the magnificent pipe organ. Our first “organ” was a melodeon, greatly opposed by the conservative members. 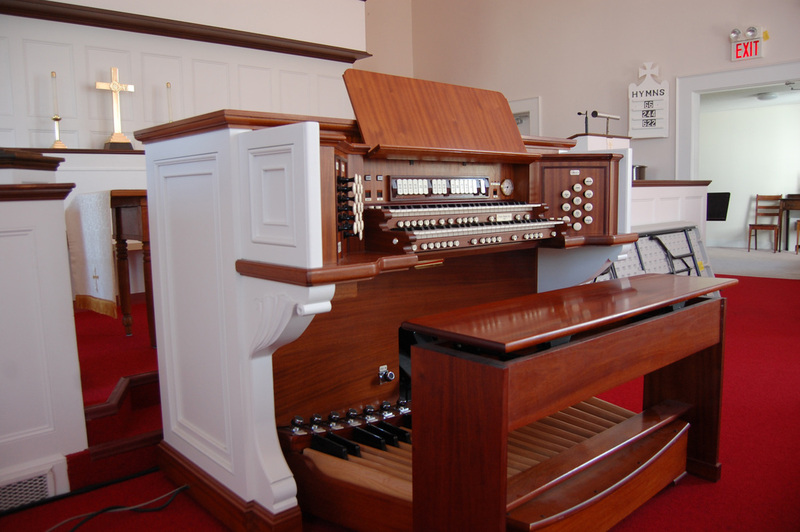 The second was a heavy black walnut pipe organ placed in the back of the church near the choir. The third organ was in the front, and “to the East”, selected people sat behind a screen to pump it. More than one fell asleep during the sermon, delaying the start of the final hymn. In 1922 our fourth organ came from a private home in New York City and was placed in the front of the sanctuary, the choir sitting on either side. 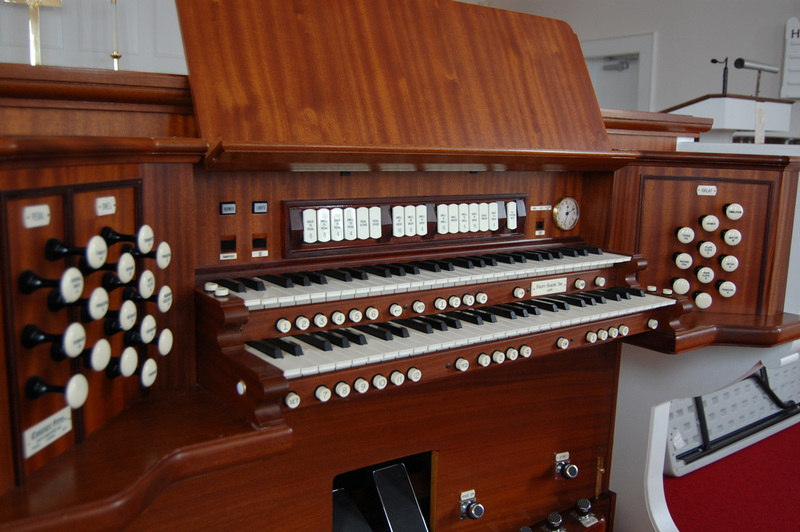 Our present organ was built in 1972 by the Casavant Frères Organ Company of Quebec Canada. In the early stages of designing this organ, it was decided that an instrument was needed that could not only support the singing of choral literature as well as congregational hymns, but would also serve as a good instrument for visiting recitalists. To meet these requirements, each of the 21 stops, which control the various sounds of the organ, were selected one by one so that our instrument would have the tonal diversity to be able to accompany or perform many styles of music. While our instrument is able to play numerous styles of music, it sounds best when playing the literature of German baroque or French romantic composers. In 2007, a new electrified console was added. This is the console that is in use today. 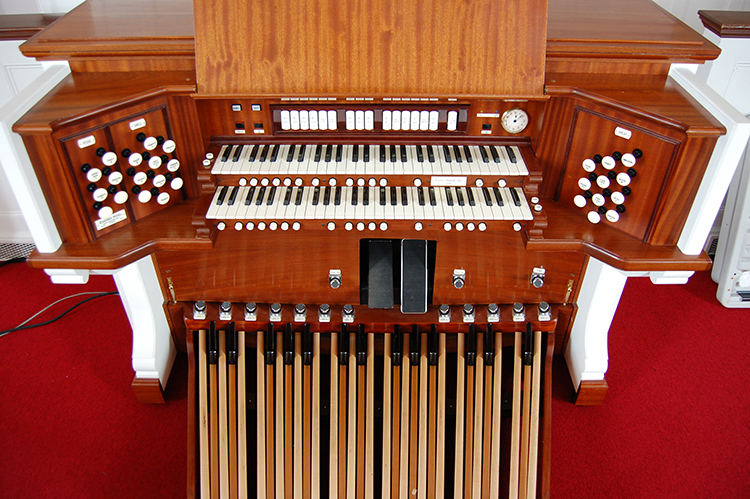 With this addition, the organ became even more versatile. One of the features of this console that greatly expanded the possibilities of this instrument was the addition of 4ft couplers for all of the divisions as well as 16ft couplers for the Great and Swell divisions. These additions made it possible to play and accompany English choral literature as well as play repertoire of the Romantic era. Even now, 42 years after it’s installation in the church, our organ is still a wonderful and extremely versatile tool that helps our music ministry to proclaim the Word as well as delight those who get the opportunity to hear or play it.